People sometimes refer to wireless networking as “Wi-Fi” even when the network uses a totally unrelated kind of wireless technology. While it might seem ideal that all of the world’s wireless devices should use one common network protocol such as Wi-Fi, today’s networks support a wide variety of different protocols instead. The reason: No one protocol in existence provides an optimal solution for all of the different wireless usages people want. Some are better optimized to conserve battery on mobile devices, while others offer higher speeds or more reliable and longer-distance connections. The below wireless network protocols have proven especially useful in consumer devices and/or business environments. Before newer smartphones adopted so-called fourth-generation (“4G”) wireless networking, phones utilized a dizzying variety of older generation cellular communication protocols with names such as HSDPA, GPRS, and EV-DO. Phone carriers and the industry have invested large sums of money to upgrade cell towers and other network equipment to support 4G, standardizing on a communication protocol called Long Term Evolution (LTE) that emerged as a popular service starting in 2010. LTE technology was designed to significantly improve the low data rates and roaming issues with older phone protocols. The protocol can carry more than 100 Mbps of data, although the network bandwidth is normally regulated to levels below 10 Mbps for individual users. Due to the significant cost of equipment, plus some government regulatory challenges, phone carriers have not yet deployed LTE in many locations. LTE is also not suitable for home and other local area networking, being designed to support a larger number of customers across much longer distances (and corresponding higher cost). Wi-Fi is widely associated with wireless networking as it has become the de facto standard for home networks and public hotspot networks. 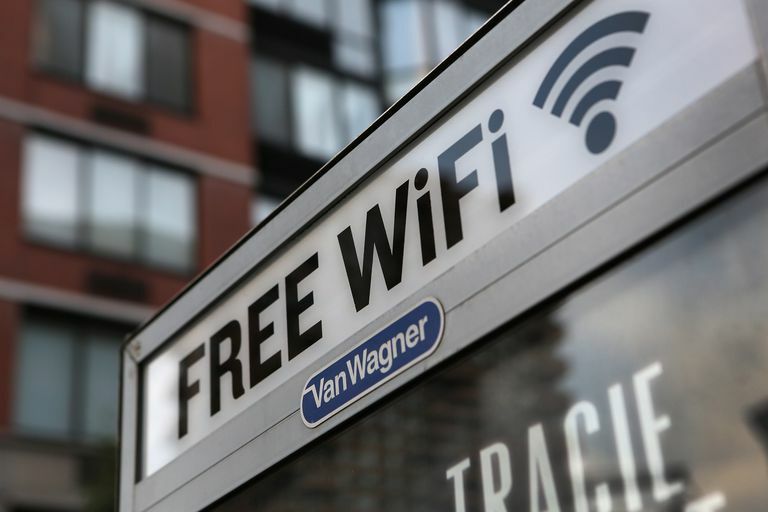 Wi-Fi became popular starting in the late 1990s as the networking hardware required to enable PCs, printers, and other consumer devices became widely affordable and the supported data rates were improved to acceptable levels (from 11 Mbps to 54 Mbps and above). Although Wi-Fi can be made to run over longer distances in carefully controlled environments, the protocol is practically limited to work within single residential or commercial buildings and outdoor areas within short walking distances. Wi-Fi speeds are also lower than for some other wireless protocols. Mobile devices increasingly support both Wi-Fi and LTE (plus some older cellular protocols) to give users more flexibility in the kinds of networks they can use. One of the oldest wireless protocols still broadly available, Bluetooth was created in the 1990s to synchronize data between phones and other battery-powered devices. Bluetooth requires a lower amount of power to operate than Wi-Fi and most other wireless protocols. In return, Bluetooth connections only function over relatively short distances, often 30 feet (10 m) or less and support relatively low data rates, usually 1-2 Mbps. Wi-Fi has replaced Bluetooth on some newer equipment, but many phones today still support both of these protocols. One of the most popular activities on computer networks is streaming of video data, and several wireless protocols that run on 60 Gigahertz (GHz) frequencies have been built to better support this and other usages which require large amounts of network bandwidth. Two different industry standards called WirelessHD and WiGig were created in the 2000s both using 60 GHz technology to support high-bandwidth wireless connections: WiGig offers between 1 and 7 Gbps of bandwidth while WirelessHD supports between 10 and 28 Gbps. Although basic video streaming can be done over Wi-Fi networks, best quality high-definition video streams demand the higher data rates these protocols offer. The very high signaling frequencies of WirelessHD and WiGig compared to Wi-Fi (60 GHz versus 2.4 or 5 GHz) greatly limit connection range, generally shorter than Bluetooth, and typically to within a single room (as 60 GHz signals do not penetrate walls effectively). Various network protocols have been created to support home automation systems that allow remote control of lights, home appliances, and consumer gadgets. Two prominent wireless protocols for home automation are Z-Wave and Zigbee. To achieve the extremely low energy consumption required in home automation environments, these protocols and their associated hardware support only low data rates - 0.25 Mbps for Zigbee and only about 0.01 Mbps for Z-Wave. While such data rates are obviously unsuitable for general-purpose networking, these technologies work well as interfaces to consumer gadgets which have simple and limited communication requirements.